Long live the fine art photography! We have the honor to introduce one of our artists in the residency. Meet Tapio Haapalahti from Finland, Tampere. He is a man with no fear – we suspect he’s ancestors were probably real Vikings or maybe they had roots from blacksmith Ilmarinen family tree. 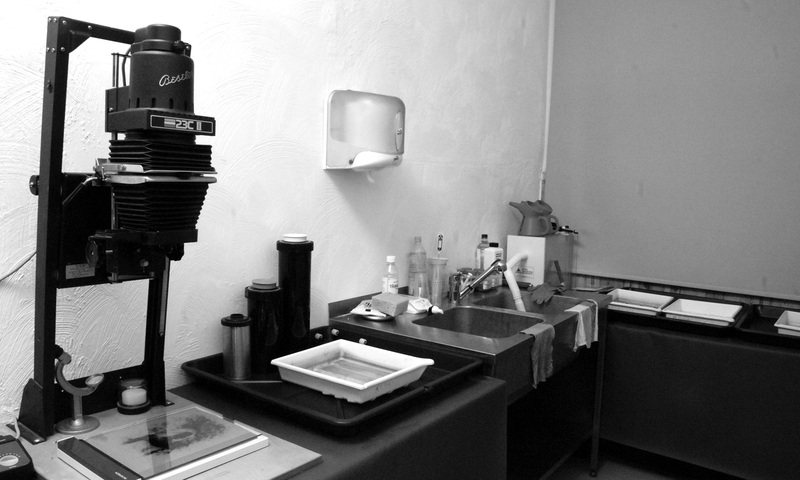 Tapio is Grandmaster of analog photography and he has 40 years of experiences in that field. Whatever you need to know about old and dignified photography techniques, just ask him and you will be enlightened. Tapio is the organizer of Tampere Camera Fair and is teaching analog photography in Tampere and Rovaniemi universities. He is a man who can create images with river water and develop films by eating vitamin C.
He is a great source of disappearing knowledge’s and he’s spreading this knowledge around him with passion. This is his missionary work next to the unique artworks what he creates. Besides all that he is an extremely kind person, he is too kind! 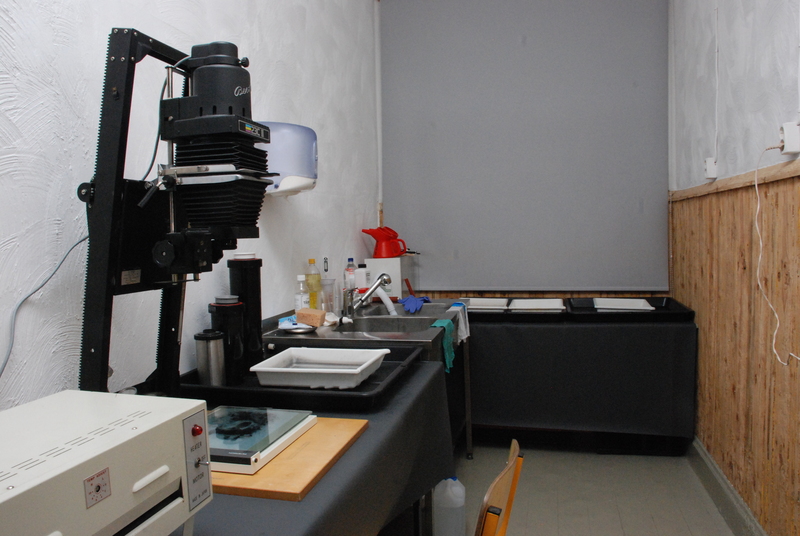 He brought to Copper Leg Residency full darkroom equipment and studio flash lighting kit. He helped to set it up in two intensive weeks and showed how to use the equipment and many good tricks during his workshop in Copper Leg Residency. We have not enough words to describe our gratitude to Tapio. These may be small steps for Mr. Tapio Klaus Kullervo Haapalahti, but it’s a giant leap for Copper Leg Artists Residency and a great gift for all the future artists who come to work and live here. Dark site of the Copper Leg! 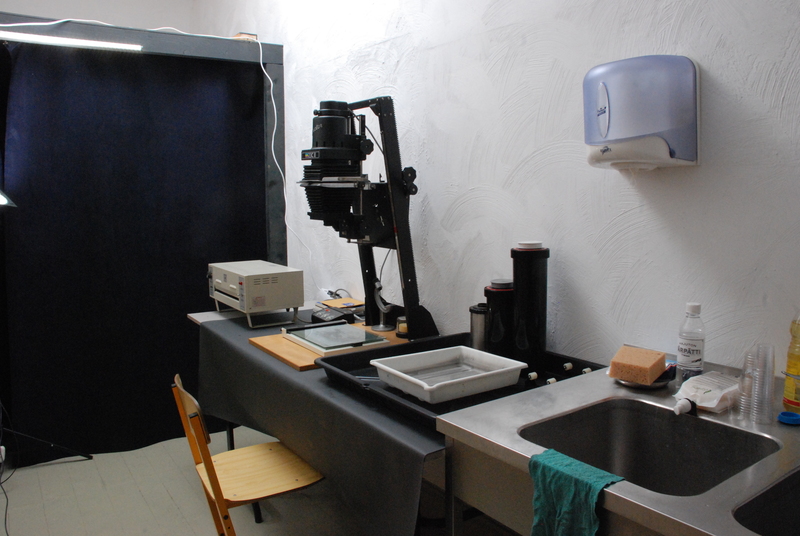 We have good news, our darkroom is ready and with excellent setup! We thank you Tapio Haapalahti, you made it happen! Tomorrow’s photography workshop can start! On Friday, Feb. 09 Open Doors in Copper Leg Art Residency. 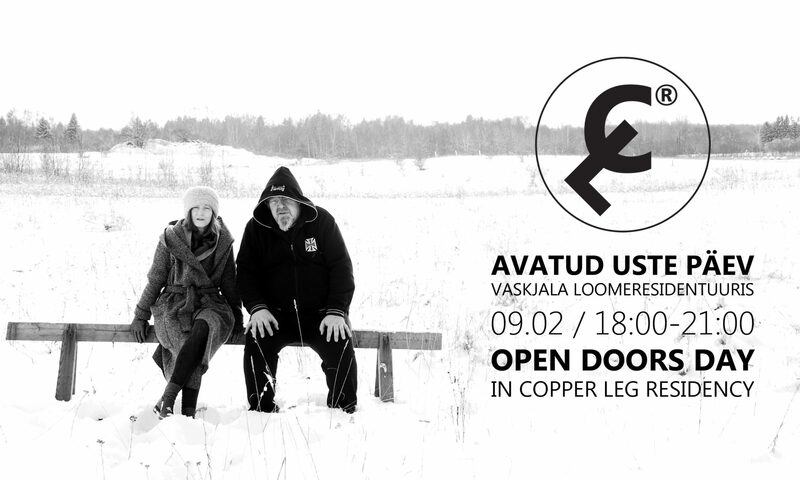 You are welcome to Rae Schoolhouse on Wormhole road, Copper Leg village, Rae parish (Ussiaugu tee, Vaskjala küla, Rae vald) From 18:00 to 21:00 the visitors can discover residency space, doings. 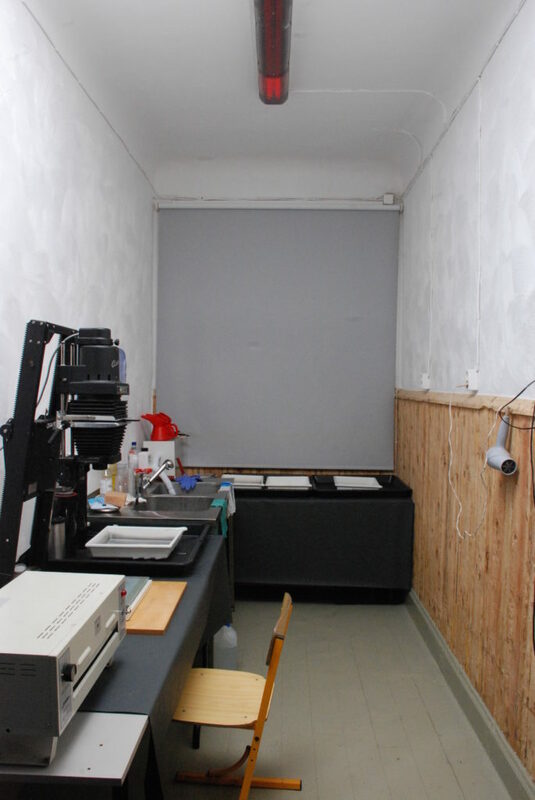 There is also our new residents, Finnish photoartist Tapio Haapalahti from Tampere, who is preparing darkroom and studio corner in Schoolhouse, to held analog photography workshops on this weekend, and also you can see his own creations in Open Door day. Andrea experiments with copper corrosion in Copper Leg Residency, she is using local organic materials to bring out patina, and her experimental copper jewelry workshop is scheduled for Wednesday evening. We invite you to come see the artists and to get an overview of their doings. I know you all are dying out of curiosity to know all about this cute cat in the picture! OK, let’s get this cat business done first – then we can focus on the other things. The cat’s name is Vicolo and he is a regular street cat from Italy, who had the luck to charm Finnish artists who were visiting his hometown and finally who ended up as hosts for this cutie. His special abilities are to not leak inside the house and being nice towards people. Now we can go back to the regular business: let’s take a look at the other person in the picture! We are happy to introduce a new artist in our residency and her companion. Niina-Anneli Kaarnamo is from Pori, Finland. She has been studying in many art academies in her homeland, upgraded her knowledge in Academy of Fine Arts and Design in Bratislava and finished her Master of Arts studies at Tallinn Art Academy. She has presented her artworks here, there and also elsewhere. The creative method of Niina-Anneli can be characterized as spying over the space. She throws questions into the room and gets answers back, even if they have been there never before. The tactical tools are disorganizing the room stage, separating the unity and creating new units, channeling focus points, and all it happens in plentiful cognitive brine. Finally, she melts all of that diffused cloud of collected pieces together and in front of us we can see the rising of something unidentified but at the same time very familiar. Her work in progress can be seen on November 26 in Copper Leg Residency during the Open Doors Day and the final result, at the exhibition on January 5 in Rae Cultural Center’s gallery “Rae Kunsti Plats”. Copper Leg Residency would like to give a warm welcome to the brave souls! 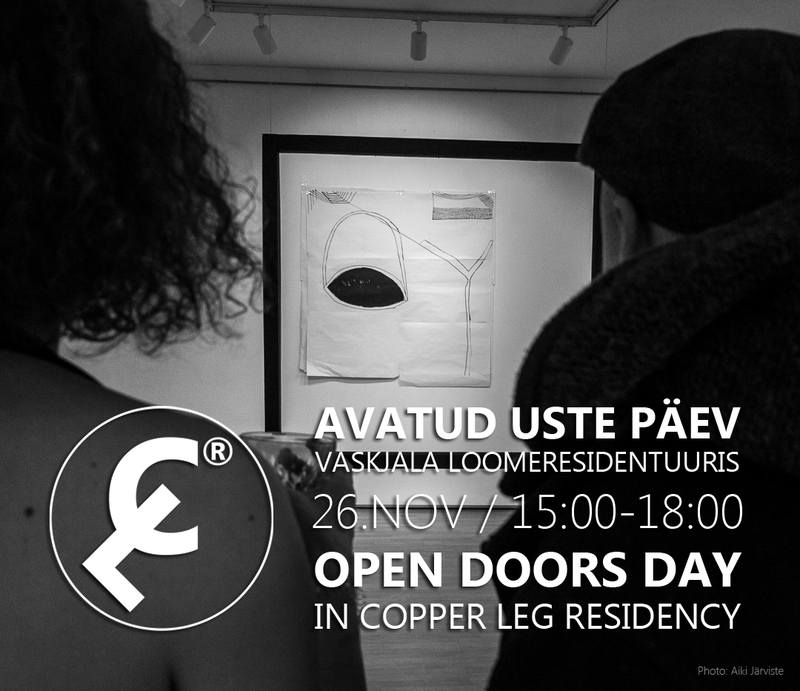 On Sunday, Nov 26 Open Doors in Copper Leg Art Residency. You are welcome to Rae Schoolhouse on Wormhole road, Copper Leg village, Rae parish (Ussiaugu tee, Vaskjala küla, Rae vald) From 15:00 to 18:00 the visitors can discover residency space, doings, and future prospects. 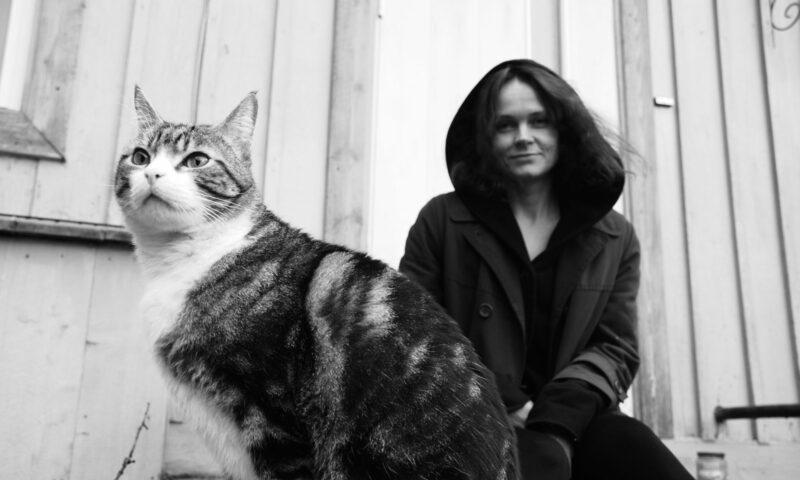 There is also our new resident, Finnish artist Niina-Anneli Kaarnamo, who is preparing her exhibition in Vaskjala which will open in January at Rae Cultural Center Gallery “Kunstiplats”. 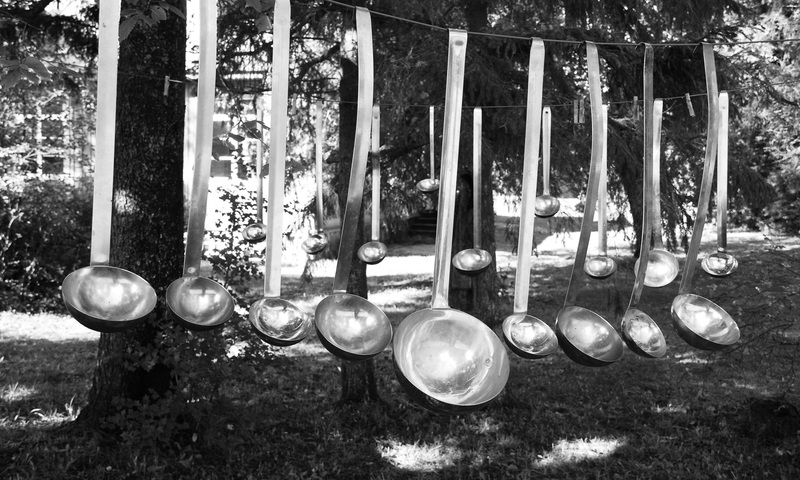 In addition, you can see the outstanding installation art and for the fast ones, some soup will be offered! PS. No need to bring a spoon, we have them enough, all other stuff is fine!